I started blogging on 7th August 2009 with zero knowledge about blog. I just follow the instruction on the blogspot domain which I have chosen because I read from one of my friend who has blog use these blogspot. She told me that because I am busy, I should have blog which sounds a bit crazy for me at that time. She never teaches me on how to start blogging. I never asked her because I don’t think I want to share anything and surely I do not have time for it. Hmm… I think I am not going to lose anything if I try so I make my first move. Make it short.. now, it has been more than 3 years and I’m proud of myself to keep writing in here and I really enjoy blogging. That was my story on how I start blogging. Today I want to share about how I know Nuffnang. Actually, I do not have so much time to blogwalking but my officemate love to blogwalking even she do not have any blog. She knows I have a blog and she help me register my account with Nuffnang and put it inside my blog. Finally, I officially join Nuffnang on 4th November 2010 at 2.40pm. Last 3 days was complete a year I become nuffnanger. I should thank her on this because without her helps I never know about Nuffnang and enjoy a lot of activities with nuffies and nuffnangers. My first experience with Nuffnang was when I got an invites to Tee Up at the Blogger Sport Carnival with CityGolf at CityGolf, Bangsar Shopping Centre on 2nd July 2011, 4.00pm. This is my first time I leave a comment on Nuffnang. I was surprise and glad to get the invites. I confirmed my attendance and counting every single day to come in this event. I am so excited. 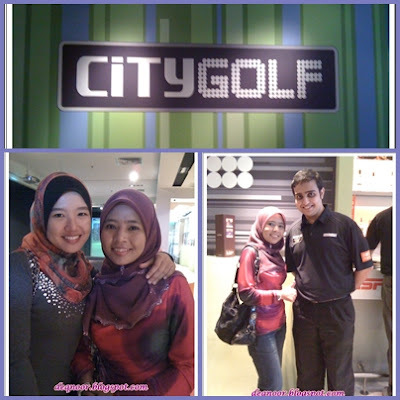 When the day comes, I playing golf with all the bloggers and in here I know blogger Zuan. He greets me when we playing golf together and we change our blog URL. Until now we still keep in touch and honestly, I am glad to know blogger Zuan because started from him I slowly expose myself more to blogger world. After the event, I always search for Nuffnang website to update any program organized by them. 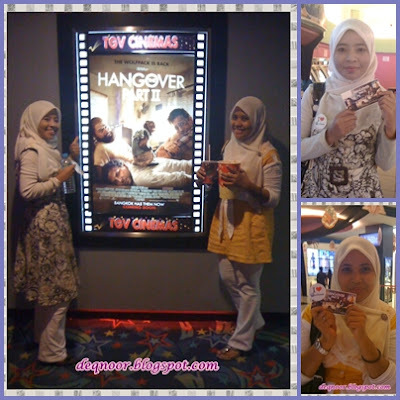 I never give up submit any comment and entry to join them and finally I got a pair of passes to Nuffnang Premiere Screening of The Hangover Part II on 26th July 2011, 9.00pm at TGV Sunway Pyramid. I try my luck to catch another movie earlier than The Hangover Part II. 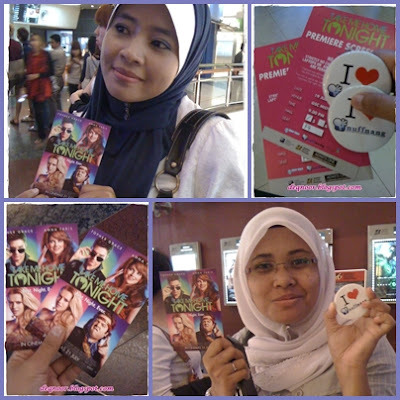 I was lucky because my comment have been selected to get a pair of passes to Nuffnang Premiere Screening of Take Me Home Tonight on 19th July 2011, 9.00pm at GSC Midvalley. These blue creatures really make me feels to watch them. I post an entry in here to watch the cute clumsy smurfs earlier than others so that I can spread to others that clumsy was really clumsy and you should see them. 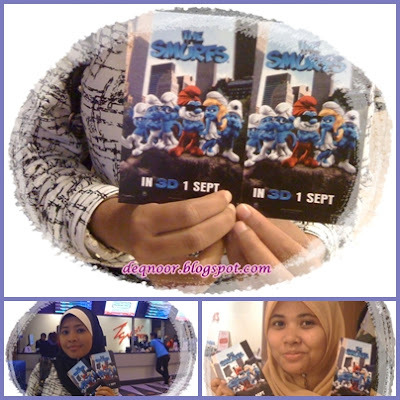 Thanks to Nuffnang for giving me a pair of tickets to Nuffnang Premiere Screening of The Smurfs on 24th August 2011, 9.00pm at TGV KLCC. Guess what? I become addicted with Nuffnang. I will open Nuffnang website more often. I think more than 10 times per day to avoid I missed any update. Haha… Crazy me… I leave a comment as usual and I got a pair of passes to watch Nuffnang Premiere Screening of Apollo 18 on 7th September 2011, 9.00pm at TGV KLCC. Wow!! I am not sure what the criteria was Nuffnang looking at but I should be proud of being chosen to get free 4 complimentary passes to watch any movie in TGV cinema for my birthday present. Even I do not get any present from someone special because I do not have one yet, Nuffnang have leave a wonderful memories on my birthday month. 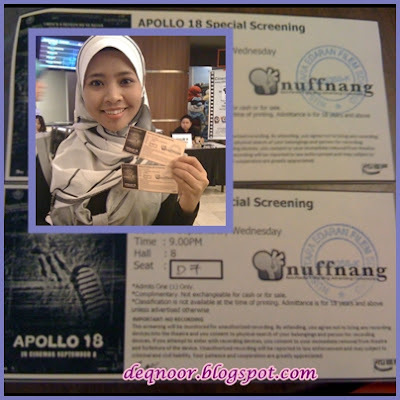 I take the passes at Nuffnang office on 22nd September 2011. I keep leaving a comment until I become one of the top commenter in Nuffnang which I never realize when it happens. 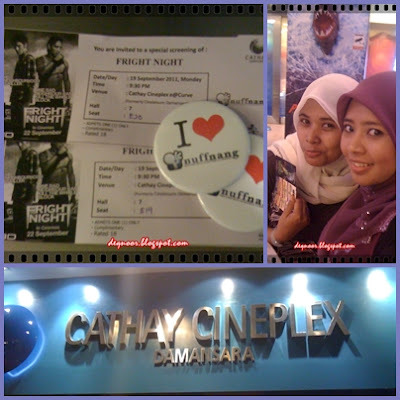 I got a chance to meet earlier with the handsome vampire Colin Farrell when I win a pair of passes to Nuffnang Premiere Screening of Fright Night on 19th September 2011, 9.30pm at Cathay Cineplex e@Curve. Nuffnang never disappointed me when they keep chosen my comment as one of the creative comment. Thanks Nuffnang! My feeling to you become stronger and hope I will fall in love with you more and more. 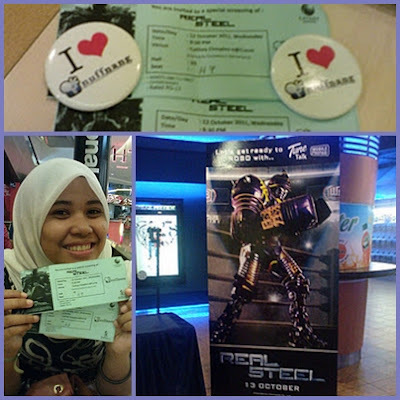 Hee… I got the chance to watch a waiting and must watch movie of the year acting by strong and gallant Hugh Jackman when I get a pair of passes to Nuffnang Premiere Screening of Real Steel on 12th October 2011, 9.30pm at Cathay Cineplex e@Curve. 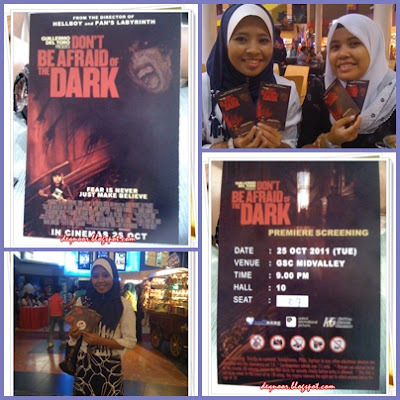 Last but not least was the best event I ever join... 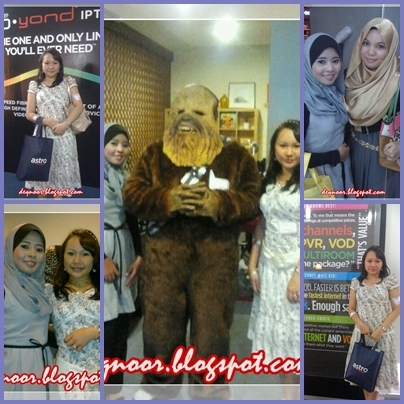 Dress up and party at the Astro B.yond IPTV Hollywood and Celebrities Night which was held at B.yond IPTV Concept Store, Solaris Mont Kiara on 29th October 2011 from 6.30pm to 10.00pm. I dream of dressed up as Vanessa Hudgen but still in modest dress on that day. I can see a lot of nuffnangers come with Hollywood and celebrities fashion. I respect them with all of their effort. I met one of blogger who I always stalking her blogs.. She is CikEpal.. Hi Cik Epal! Hope you still remember me. Thanks for your time taking a picture with me. Hope to see you soon. Where? Come 16th December 2011, 500 bloggers from around the Asia-Pacific region will flock to Kuala Lumpur, Malaysia for the Nuffnang Asia-Pacific Blog Awards 2011 in Putrajaya Marriott. The Awards aims to not only honour the region's best bloggers, but also to bring together blogger communities from across Asia-Pacific. The Nuffnang Asia-Pacific Blog Awards is brought to you by Volkswagen Malaysia and Putrajaya Marriott. 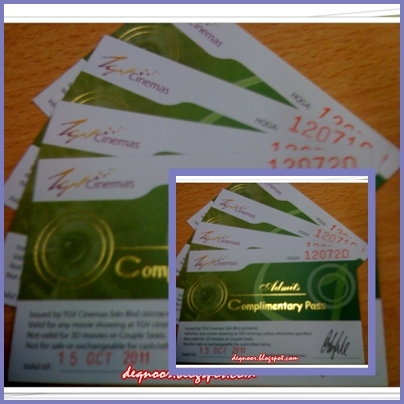 Insyaallah… Hope Nuffnang will choose me to win an exclusive invites to the Nuffnang Asia-Pacific Blog Awards 2011.